Report environmental crime to Bedford borough council. 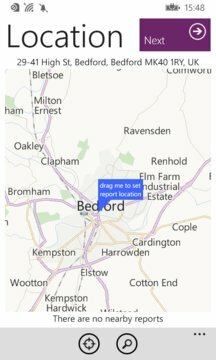 You can make a report in three easy steps: 1) Check the location (which is detected for you automatically)2) See the problem and take a photo.3) Pick a report category, enter a description and submit Once we receive the report it will be routed direct to Bedford Borough council. 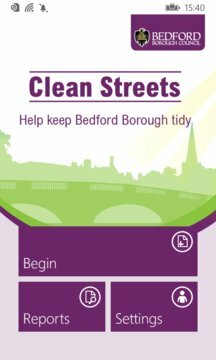 You can view the progress in the app, via text, email and on the Love Clean Streets web site (http://lovecleanstreets.org) If you dont have time to make the report now, take the picture and send the picture from the pictures gallery later.